Razer are incredibly well known within the PC gaming industry, most notably for their mice and keyboards; the bread and butter for computer gamers. Today we look at their introductory model into an almost-undoubtedly evolving sub-sector, the Mamba HyperFlux and Firefly HyperFlux in a single bundle, first introduced at this year’s Consumer Electronics Show. Razer’s Mamba gaming mouse has pedigree, making it the ideal recipient of the HyperFlux treatment, as is the Firefly mouse mat, with the obligatory RGB lighting. 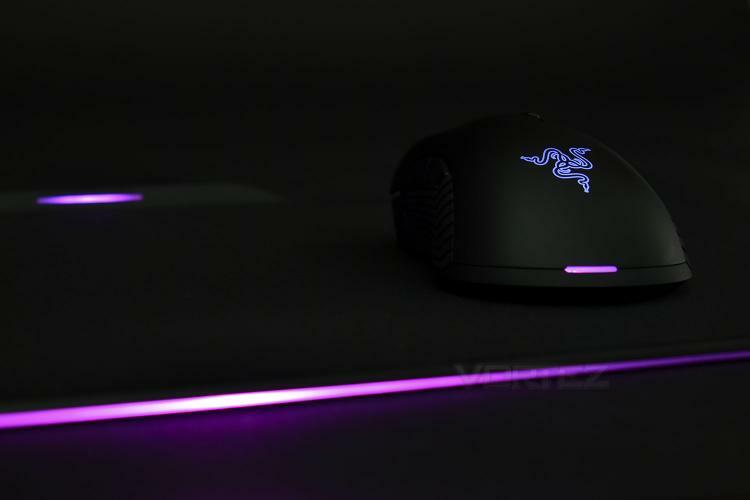 The Mamba HyperFlux features a 16,000 DPI optical sensor, the current most accurate sensor available, along with RGB lighting, Razer’s Adaptive Frequency Technology and mechanical switches, all while boasting a tiny weight of only 96g. The Firefly comes with a choice of two surfaces, plastic or cloth, along with RGB lighting around 3 edges and a flowing, sumptuous design. You may be wondering what HyperFlux means – this is the term given to Razer’s new wireless power technology. It’s strictly limited to the Mamba HyperFlux and Firefly HyperFlux at present but we expect this to expand in the coming months and years. The surface of the Firefly produces a tiny electromagnetic field which the Mamba can retrieve and use to power the electronics within, without any need for a physical connection. All of that sounds great, but with a price tag just shy of £250, is the will to rid the wire strong enough? Read on to find what we thought.